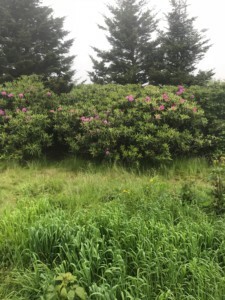 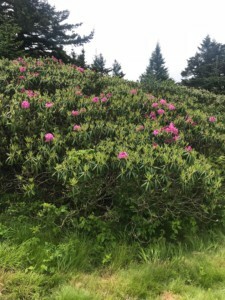 June 12th update on the Rhododendron Blooms. 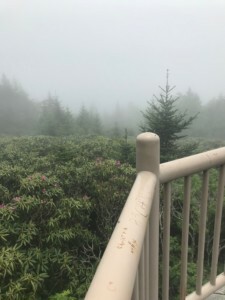 Today’s weather on top of Roan Mountain is 58 degrees and foggy. 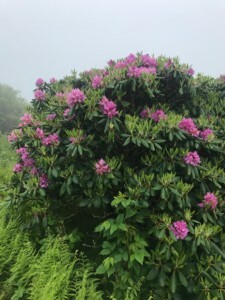 The Rhododendron are in bloom. 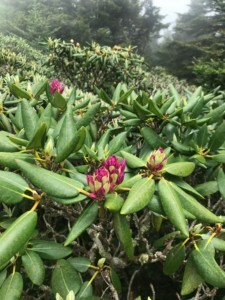 Rhododendron in the Carvers Gap area can be seen by walking on the trail and bushes in the sun have very nice blooms at this time. 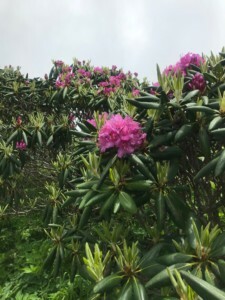 Rhododendrons in the gardens have not bloomed as much, there are some color in the gardens. 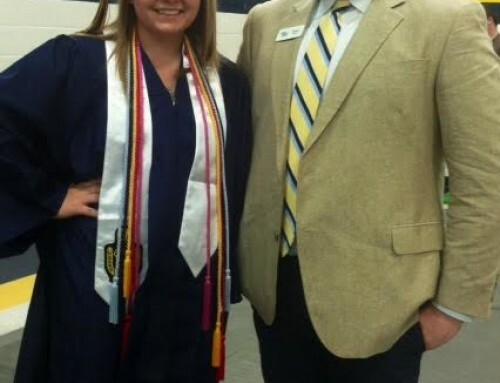 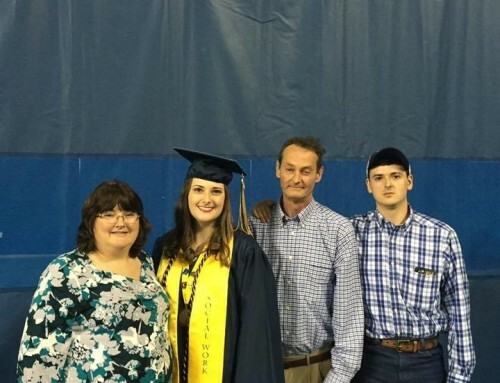 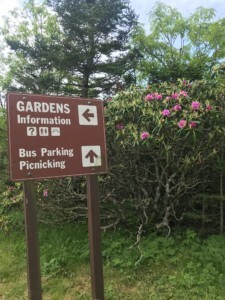 Please see Pictures below. 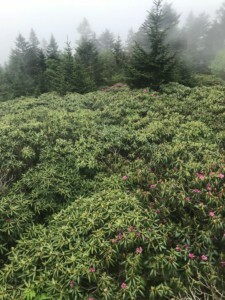 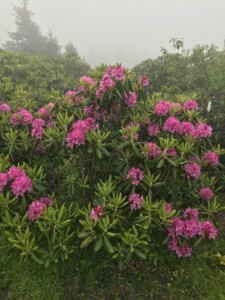 We expect with warm weather throughout the week will have the Rhododendrons close to peak at Carvers Gap by the weekend.